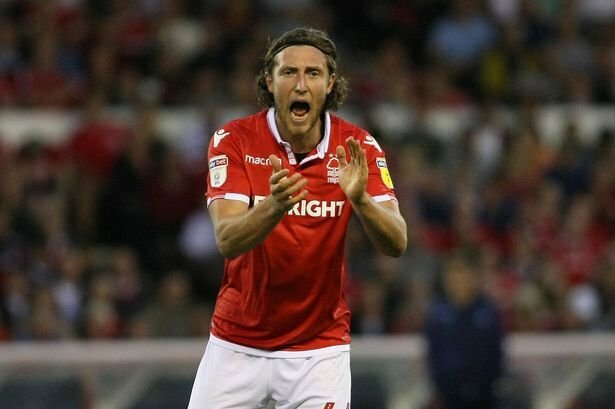 Martin O’Neill has revealed that Michael Hefele is “not likely” to play again for Nottingham Forest this season, with the centre-back needing surgery on an achilles injury. It’s a major blow for the summer signing and caps a disappointing debut season following his move from Huddersfield Town. Hefele last played for Forest against Leeds United on January 1. He was brought off after just five minutes and replaced by Adlene Guedioura. The uncapped German defender has since missed games against Reading and Bristol City and is not expected to return until next season. O’Neill told BBC Nottingham Sport: “I am not likely to see him this season. It may be early to make that prognosis, but I don’t expect to see him”. Hefele’s setback may force Forest to recruit one more defender before the January transfer window closes. Ahead of Saturday afternoon’s meeting with Wigan, Jack Robinson and Yohan Benalouane partnered each other at the heart of the defence against Bristol City on January 19 and could keep their places against the Latics. O’Neill isn’t blessed with much depth at the back currently, so he’s left with no choice. Forest finds themselves six places and seven points adrift of the Championship playoffs after 28 games. They haven’t kept a clean sheet for six weeks.